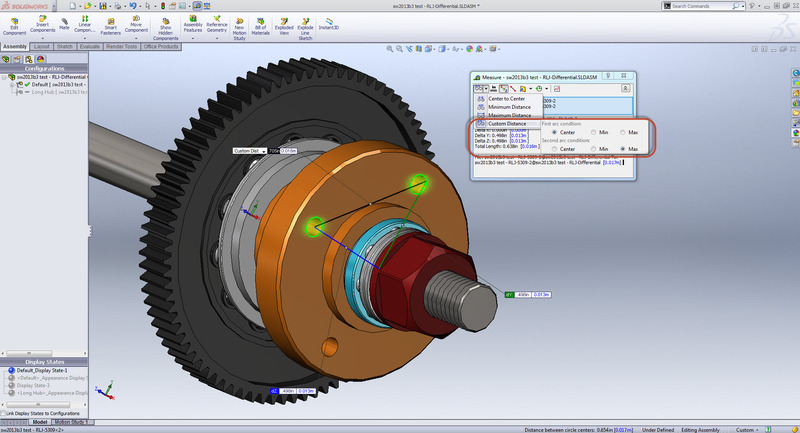 If you look at the every day use of SolidWorks, I would think that the Measure Tool would rank among the most used features inside the software. 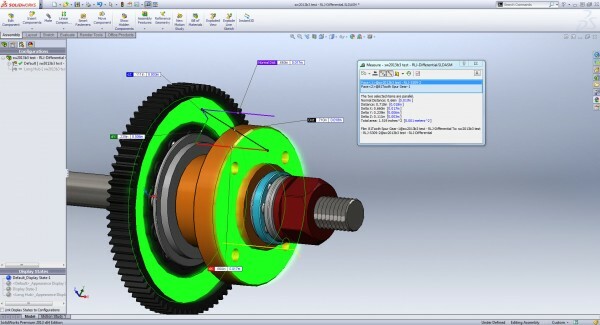 SolidWorks 2013 brings some very nice enhancements to the Measure Tool. The image below shows you two new options, Point to Point and History, that have been added to the Measure dialog box. 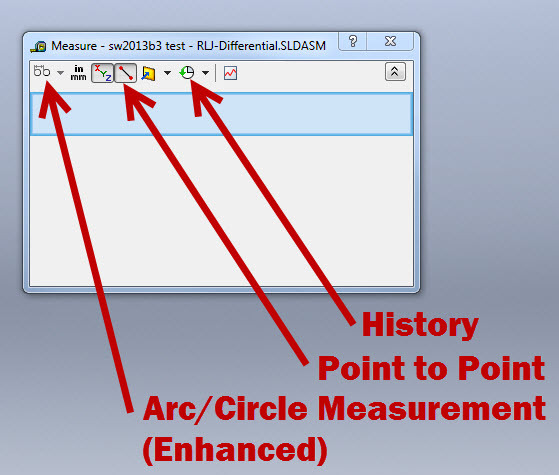 The Arc/Circle Measurement options have been enhanced and now have more options when compared to previous versions. The Arc/Circle Measurement setting now includes a “Custom Distance” option which allows you to combine Center, Maximum, or Minimum settings amongst the items selected. The History tool allows you to recall recent measurements that you have made in your session of SolidWorks. When you select this option a separate window pops up displaying the previous measurements. If the list gets too long, you have the option to clear the history via a button at the top of the History window. The Point to Point tool allows you to select vertices or arbitrary locations of the model to get a linear measurement between two points. The image below shows to model vertices that were measured using this option. 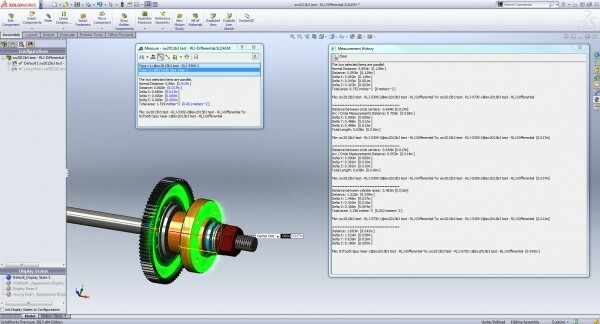 I believe that ALL of these enhancements will be quite useful for everyday functions inside of SolidWorks. Man will that history list be a handy thing for me to use. Previously, I have had to write things down on the stack of scrap paper or failed print jobs that I have next to my desktop. This will solve one big problem for me but create another. What do I do with all these pieces of scrap paper now. Great report Rick. 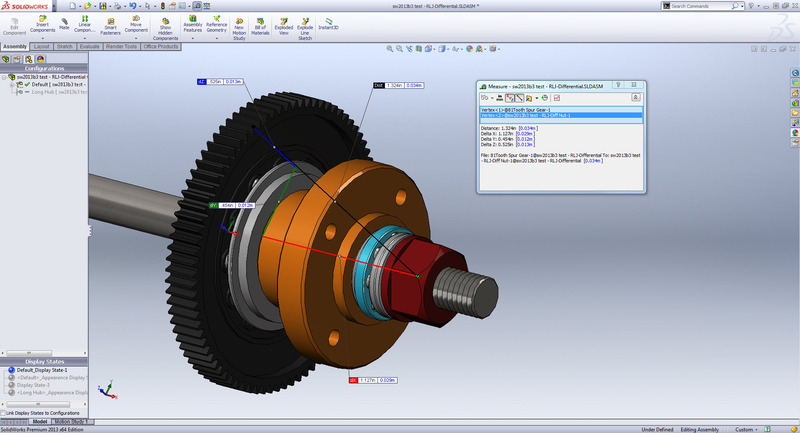 I am currently using the Solidworks standard 2015. I wonder why I can’t use the arc/circle measurement parameter. Is there any limitation depending on the license, such as standard, premium. Your prompt reply would be much appreciated. Hola soy de argentina, uds hacen simulación. Timely post . For my two cents , if someone are looking for a service to merge PDF or PNG files , my wife encountered a service here http://goo.gl/WsiIWY.